Lisa Linfield, in this crucially important episode, discusses the answers to those What Happens When? questions. Whilst this isn’t a fun episode it is crucial that you understand the impact one the big four will have on your life. Any of the Big Four can change your family from being middle class to poor, as they struggle to pay your debts and have no way to maintain their standard of living. 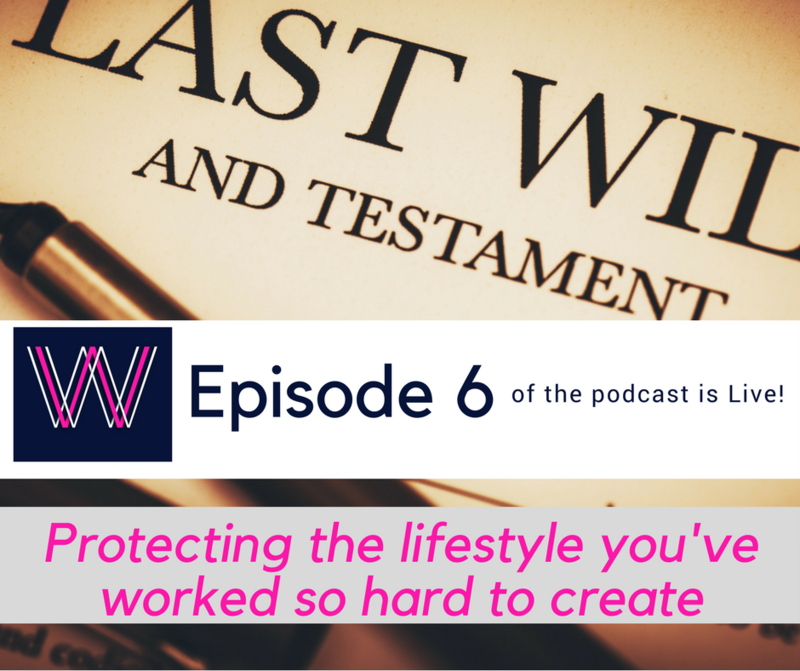 It’s therefore so important that you focus some time on protecting the lifestyle you’ve worked so hard to achieve for yourself and your family. Critical illness such as heart attacks, strokes and cancer can also have a major financial impact on your life. Life Insurance…how much do you need? Please note, CGT is included in your estate at 40%, not 20% as mentioned here. Thank you so much for listening to Working Women’s Wealth. I’m very grateful for all of the support that so many of you gave to me when I launched this podcast, with the first five episodes. We managed to make it to the top 10 of all South African podcasts, and also into the top four of business podcasts. Thank you so much for your support and for all the messages that everybody sent. Today’s episode is on those things that we choose not to think about. How to protect our lifestyle that we’ve worked so hard for. It isn’t a great topic, it really isn’t, and it’s not one of those that you’re gonna walk away feeling good from. Having said that, the peace of mind that comes to you when you know that you’re taken care of, and that your family’s taken care of, in case there’s a incident or something that happens that results in you not being able to earn an income. One of my most jolting experiences was when I read a newspaper article by a young man who was describing the impact of his father dying on their family. The phrase that stuck with me was, “My dad enabled us such that I grew up middle-class, but after he died my sister grew up poor.” Now I’m sure that dad would not have wished for his sister to grow up poor. I’m sure that dad would have wished that the lifestyle that he worked so hard to achieve for his family carried on, and so that no one would grow up poor. But what happens is that we always keep putting it off. There’s always tomorrow, there’s always some chance that we will not die, which is no chance but that it won’t happen soon, and also that we won’t be disabled or retrenched. So we don’t really apply our minds to this. There four things that I really want to chat to us about. The first one is death, the second one is retrenchment, the third one is disability, and the last one is when you’re infected by critical illness such as a heart attack or cancer. So let’s start with death. Bright and light stuff here. The challenge with death is that we don’t think about it in enough detail and we don’t know what happens. The first thing that happens when you die is that everything that’s in your name gets frozen, and that includes joint accounts. I know many couples who think they’re gonna be okay because even if they die, the wife they think has access to the account. The problem is a dead person cannot own a bank account, so the first thing that happens is that the accounts are frozen and there is absolutely no chance that you can access those accounts. What happens is your executive goes and applies to the master of the court to create what’s called an estate late, or a deceased estate for you. So that whole process takes time and they cannot open a bank account until they have a letter that authorizes them as the executor. The challenges that that process of appointing an executor is done in your will, and for those of you who know me well, know that there’s one thing I’m hugely passion about. Every one of my clients and every one of my friends needs to have a very good will in place. Any will is better than no will, so that’s the first thing I really need to say. Often people will give me a draft of their will to read that someone else has done for them and say, “What do you think?” And my response is usually, “Sign it and then let’s work on a better version.” Because the terms that we all have is that we are always working on and we’re always going to do a will, but it never happens. For those of you who don’t have a will, you will die what’s called intestate, and intestate is the worst way possible to die. The reason why is that there are four functions that a will provides for us. Firstly, a will sets out what your wishes are, both for your money and if you have dependents, for any of your dependents, be it your wife, your children, et cetera. So without a will, the government gets to decide the formula for splitting your estate. The second reason that you have a will is so that if there are people who are dependent upon you that can’t manage money, that they are taken care of by the establishment of a trust. If you have no will in place and your money is to go to minors, the minor’s money, or people who aren’t financially able to manage that money, that money goes to the Guardian Fund or the state, and the state manages the money, and the state decides how much you can get as a minor. For those of you who have children, the current amount that you can get is around 100,000 rand, and they will give you 6% interest rate. So it’s hugely important if you have small children that your will sets up a way, that that money can move into a trust, that can be managed on behalf of the children and invested on behalf of the children for the amount of time that it takes for them to come of age. The next reason that you have a will in place is not only so that it will decide where your money goes and decide what happens to the money for children, the other thing that it does is that it sets out who is the executor of your estate, and that’s a hugely important role. Now, please know that there’s a big different between an executor of estate and an administrator of your estate. Your spouse can be the executor of the estate and they can appoint someone to administer the estate. Someone to go to the master and lug all the forms that are needed, et cetera, et cetera, et cetera. It doesn’t have to be a bank or a trust company that is the executor of the estate, it can be your spouse, or another responsible person. But the most important thing you need to do is to negotiate the executor fees with the person who’s going to administer the estate or be the executor, because if you don’t negotiate it up front, by law they’re allowed to charge you 3.5% plus VAT, which is 3.9% of your estate. So 4% of your estate will go to the executor and they’re also allowed to take 6% per year of all of the income that is earned in your estate. You need to manage that before you die, or if you nominate your spouse, your spouse can negotiate it at the time. The problem is if you leave an executor in the will that you haven’t negotiated for, your estate will have to just absorb the rate that they charge. The other reason that you do set up a will is to avoid family fights. ‘Cause goodness we all know that money can cause some major issues within a family, but the most important thing is that the more detail and the carer you are, the less chance there is that your family will fight. There’s also an admin issue. It is hugely traumatic to lose your spouse and what’s even more traumatic is to try and resolve what should happen when there’s no clear guidance, so make sure you set up a really good will, with really good detail as to what should happen. So what we’ve covered so far is that you die and that your executor is appointed by your will, as are the directions for all of your money. The challenge comes, now is access to cash, because from the point that you die and the accounts are frozen, your spouse is not able to access the cash that he or she needs in order to feed your children, put petrol in the car, or pay the bills. So there are two ways that you need to sort this out. Firstly make sure that there’s money in both you and your spouse’s name. That if, in that week, two weeks, month, to three months that it takes to get the master’s court to appoint an executor, that that person is able to get the money that they need in order to live. The other option available to you is life insurance. Now life insurance is a very important part of managing an estate, especially through those initial months, and the reason why is that when you leave money to a person it bypasses the estate. So it goes straight from the life insurance company through to the beneficiary of that life insurance policy, and the great part about that is that it’s quick. It doesn’t require the set up of the estate late and it doesn’t go through the hands of the executor, so the money can get into the hands of those that need it quickly. So that’s the first reason why you get life insurance and that’s to manage liquidity, your access to cash. The second reason you get it is for the liquidity within your estate. The minute you die you are deemed to have sold all of your assets, which means that your estate will go through capital gains tax. The reason why is that it moves from you to your estate, and so the maximum you’ll be charged currently is 18.8%. The tax is 20% of the gain and then it’s included into your tax return at 20% of the gain. This comes to a really interesting point, which is that not only will you pay capital gains tax on it and you’ll pay executors fees on it, you will also pay state duty, and the state duty is 20%. The other hugely important reason for having this liquidity in your estate is so that your spouse doesn’t have to sell the assets in order to pay for all of these fees. Now the terms with that is if you have only one house to your name, and she’s gotta pay all of these taxes, and fees, and duties, and things like that; then she’s gotta sell that house that she’s living in, in order to … or he’s living in, in order to make sure that you can provide for those fees. So liquidity for the spouse around the death and secondly liquidity within the estate to make sure that you can pay for fees and taxes. The third reason that you get life insurance is around making sure that the surviving spouse and your children are taken care of, whilst your income is not there. For that you need to look at and do a really good calculation. One of the biggest elements I talk about in my blog on deciding how you should receive the money, or how your estate should receive, or your wife, or partner, husband, should receive the money; is to look at should that person receive it as a lump sum or should they receive it as a monthly amount? 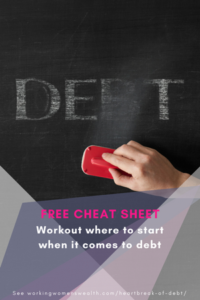 Now the biggest question in deciding which one of these it should be, is the fact that you should be able to answer the question, “Can your spouse manage investment risk and inflation risk through this process? Can they make the money last as long as you need it to last, until the children are 18, 21, 24 years old?” If the answer is no, then it’s better to get a life insurance policy that pays out monthly, than it is to get one that pays out a lump sum, because the challenge with that is if the spouse can’t manage the money, you’ll find that the money is gone and your children still need that money. So in cases where you don’t feel that the spouse is able to manage the money, then what you need to do is to get hold of a life insurance company that can pay both a lump sum for the initial needs, and secondly a monthly amount to make sure that the spouse is taken care of and it reduces all the stress of managing that money. Also what you need to make sure of is that that benefit then increases with with inflation every single year, because there’s no point giving someone 10,000 rand a month, because that’s good for now, but you die in 10 years time and 10,000 rand a month is not worth the same in 10 years time. So the last thing that you need to take into consideration when it comes to life insurance, is how you choose that. Not only that you need to choose the right amount of life insurance, but that also that you make sure that it increases whether it is a lump sum or a monthly payment with inflation, so that it can meet the needs for whenever you’re going to die. ‘Cause unfortunately we don’t know when that is. Then we move on to retrenchment. Now retrenchment is a really tough thing for people to go through and if any of your spouses or yourselves are going through retrenchment, or about to go through it, I really recommend deep understanding and support because it is not only a worry as to what’s gonna happen financially and whether you’re going to be able to find another job, it’s a huge blow to self esteem. Many people can’t help but think that maybe I wasn’t good enough, maybe they would of picked me if I was better, and the honest answer having gone through company processes on retrenchment is that there are many, many, many reasons, and the major one is that the company’s going through a really tough time and needs to shrink its workforce. There are many different ways companies do do it, and yes they sometimes do do it on performance, but nine out of ten times it’s done through a fair process, and that process when you go through a company wide program is not actually allowed to take past performance. People need to interview for their jobs and it needs to be taken on the merits of the interview. What I do suggest if someone is going through this, is don’t listen to the gossip on the grapevine, and don’t listen to the people that are also impacted by it. Go and seek good external counsel to help you navigate through retrenchment, because most countries, and especially in South Africa have many laws to protect against being retrenched unfairly, and make sure that you get the right amount of support and care that you need through the process. There is retrenchment insurance but it’s extremely expensive and the reason why is because many people fraudulently apply for that insurance. They have heard that there is retrenchment processes likely, so they go and take the retrenchment insurance, and it therefore means that if everybody claims then the cost of it goes up. The next set of things to consider is disability. Now disability that again most of us think happen to someone else. I think all of us would agree if you’re employed that you’re probably more likely to be retrenched than to be disabled. The challenge with disability is that it can happen to us at any time. A taxi can take you out tomorrow and you lose the ability to move your legs, and so you are disabled. Disability, particularly for self-employed people, is a major, major issue. For many that are employed in companies, company has some form of disability product, but if you’re self-employed and you’re disabled you are unable to earn an income. The challenge with disability is that it’s highly complicated. It deals with two things, activities of daily living or what they call functional impairment, and work. If we take, for example, a computer programmer who is in a car crash and becomes a paraplegic, is unable to use their legs. The challenge is that on activities of daily living or functional impairment, they are disabled, but they’re not disabled when it comes to working because they could just as easily program their computers without the use of their legs. So there is this range and the scale that goes from activities of daily living all the way through to inability to work, that makes there be so much gray, and so much difference between the different disability products of all the different product providers. The other thing is that they pay out very differently. Did you lose one leg, two legs? Did you lose both your arms or just your finger? It’s so difficult to compare one disability product to another. So for all of my clients and for people I know, I recommend that when they get hold of disability, that that disability is as comprehensive as possible, not basic, and that it covers both activities of daily living and functional work disability. So that’s disability, it’s very, very expensive because it’s frauded a lot, and again it’s frauded through two major reasons, both backache and depression. So it’s a very expensive insurance to get, but it is actually one of those that are very worthwhile. The last kind of unexpected thing that often happens to us that effects our way of earning income is critical illness, and in companies it’s called different things from dread disease to critical illness, but it’s basically those major diseases that happen to you that can cause you financial ruin. The four major ones that cover more than 80% of all claims, heart bypasses, heart attacks, stroke, and cancer. Now many of us will know at least one person who’s been impacted by one of those diseases. I really do recommend that you do get some form of critical illness cover, especially if you are self-employed, because the rest or recuperation process it takes after surgery or chemotherapy, or any of the things you’re impacted by can mean no impact for your family over that period of time. Most policies will cover those four diseases, but again, there’s a huge range in policies. Do they cover stage naught cancer? Do they cover stage one cancer? Do they only cover stage four cancer? And stage four cancer’s when it’s metastasized all over your body, so you might still need to have radiation, or chemo, or an operation, or something that takes you out of your ability to earn an income, but they won’t pay for it because it’s not all over your body and you’re not about to be on death’s doorstep. So be really careful in your choice of provider and make sure that it’s very comprehensive. The other thing about comparing critical illness policies is that some of them only cover the big four, and some of them cover every disease possible. Obviously the cost is very different if you’re covering only all four, or you’re covering all of them. So my advice to you when it comes to looking at these types of events that could stop you from earning an income, is assume it’s going to happen and make sure you’re prepared for it. If it doesn’t, that’s a bonus, and these insurances are very much like car insurance. You hope you never need to use it, but if you do, you want it to be there, and you want it to cover you when you need it. And one of the important things to remember about this stuff is that although you get no benefit for it if you don’t use it, exactly like a car insurance, the impact on your children if you’re unable to provide for them is huge, and the impact on your family to have to go through financial stress after you’ve died is really something that I get quite upset about, because they are grieving. Their loved one, their mom, their dad, whoever it is; has just passed away, and then that spouse has this added weight of massive financial upheaval. Anybody who has gone through losing a spouse can testify to the fact that it is one of the most difficult things to try and deal with all of the financial implications, whilst you’re trying to grieve your partner, because the admin is huge and the impact financially is huge. So make sure that you get really good advice, because really good financial advisors are able to calculate for you now what all those costs are gonna be, what all the fees are gonna be, and how much money you need where. If life insurance goes into your estate, you’re going to pay tax on it. If it goes to your spouse, you’re not. Your estate does need liquidity and your spouse does need money, so make sure it’s set up correctly, and don’t overpay. If there is enough money in your estate and your spouse has enough money in their name, to go through this time through their own provisions, then you don’t need a lot of life insurance, and I have many clients who I’ve told to cut down their life insurance. Cut down all of the insurances because they have too much, but make sure you’re not stuck on too little, because that’s a problem. That’s far harder to solve than too much. I’m Lisa Linfield and this is Working Women’s Wealth, and I would so love you to not only subscribe to this podcast, but to rate us, leave a review, or share it with your friends so that we can help as many women as possible to hear about finances. To learn from inspiring women and to make sure that they are able to look after themselves. 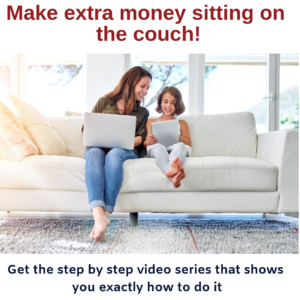 Our next interview is a fantastic one, one that really made me smile, with the fairy godmother and she has a fantastic program called “Money Magic”. So listen to it for next week Wednesday and learn all you can about the magic of money. Take care and have a great week.